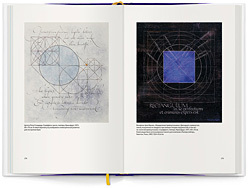 The book includes selected articles and lectures by the prominent designer Hermann Zapf on calligraphy, type design and typography, as well as a detailed catalog of his typefaces. The author covers a wide range of creative and practical issues related to the development and application of a typeface in the past, the present and the future. The edition is beautifully illustrated with calligraphic and type works of the author and addressed to type and graphic designers, decorators, and book artists.